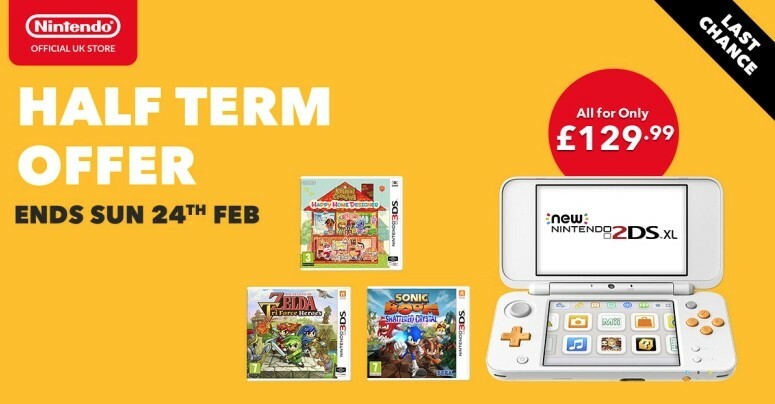 The official Nintendo UK Store has kicked off a big sale for New Nintendo 2DS XL, running from now till February 24, 2019. For just GBP129.99, you can purchase a New Nintendo 2DS XL and select three Nintendo 3DS games (first party and third party) of your choice. The original price of the bundle was GBP249.96, so you save GBP119.97. Use the coupon code READYFORTRAVEL at checkout to waive shipping fees for Nintendo 2DS hardware. Buy here (ships within the UK only).